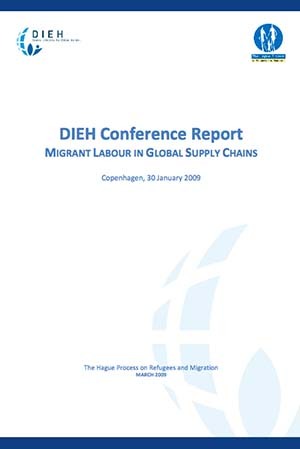 This report is the output from the Danish Ethical Trading Initiative (DIEH) Conference on migrant labour in global supply chains that took place in Copenhagen on 30 January 2009. 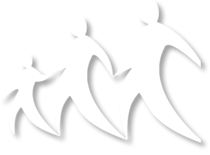 The report was prepared by The Hague Process on Refugees and Migration. DIEH took the initiative to organise the conference due to the growing attention to the topic at hand by business and organisations working on ethical trade. DIEH member companies have pointed out that the presence of migrant workers in their global supply chains brings distinct ethical challenges to their daily work. According to the ILO labour migration is increasing worldwide, and there are now approximately 200 million international migrants, and millions more that migrate internally for work within the borders of their own countries. It seems valuable to give attention to this large and vulnerable segment of the workforce. In addition, an impact assessment of the Ethical Trading Institute (UK) shows that migrant workers are often worse off because of Corporate Social Responsibility initiatives. Lastly, the issue has become even more pressing now that the ‘global economic meltdown’ seems to affect migrant labour in particular. • discuss how businesses and other stakeholders engaged in responsible supply chain management can help to protect the rights of migrant workers in global supply chains. The conference gathered a wide variety of participants with diverse backgrounds, including Danish and international businesses, NGO’s, unions, trade organizations, and academics. The conference report presents a summary of the presentations and the main outcomes of the roundtable discussions. This entry was posted in Publications and tagged Denmark, Labour, Migrant, Supply chains by THP. Bookmark the permalink.